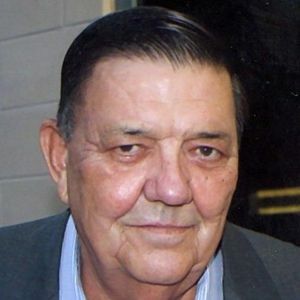 FORT WORTH -- Leonard "Clark" McDonald, 71, passed away Saturday, July 6, 2013. Service: 3:30 p.m. Thursday in Greenwood Chapel. Interment: 2:30 p.m. Friday in Evergreen Bundrant Cemetery, Purmela, Texas. Visitation: 5 to 7 p.m. Wednesday at Greenwood Funeral Home. Clark was born May 16, 1942 in San Antonio. He graduated from Jim Ned High School in Tuscola, Texas in 1960, and attended Tarleton State University where he met his wife, Bonnie. He and Bonnie were married one year and one day when they received their biggest blessing, daughter Melody. He joined the Carpenter's Union in 1963 and was a member of Carpenter's Local Union #1822 now known as Carpenter's Local Union #429. He served numerous positions within the union including that of Business Agent. He earned his fifty year pin in April 2013. Clark lived life to the fullest and enjoyed his many friendships. He loved his three grandchildren and could often be seen at his grandchildren's sporting and other special events. He will be greatly missed by all who knew and loved him. Survivors: Wife of 50 years, Bonnie; daughter, Judge Melody (Edward "Chip") Wilkinson; grandchildren, Edward "Ned," Elizabeth and Emily Wilkinson; brother, Marlen McDonald (Maureen) of Indian Wells, Calif.; sister, Marilyn (Ray) Brown of Grand Saline, Texas; sister, Jeanette Flowers of Dallas; and numerous other family and friends.